If you were involved in a hit and run accident, your accident may be under investigation by the police. Most accidents have eye witnesses who come forward and report the identification of a hit and run driver. When you are apprehended there is a good chance that the police will attempt to elicit a confession from you and impound your vehicle for evidentiary purposes. If this happens, you should retain Villanueva & Sanchala, PLLC to represent you and protect your interests. Call us now at 914-723-7900. If you left the scene of an accident with serious injury such as death, you can be facing felony charges. 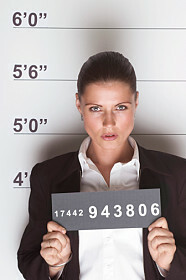 A felony is a crime punishable with more than one year in jail. If you were involved in a fatal car accident, your privilege to drive can be in jeopardy. You should be given notice of a fatality hearing also known as the safety hearing. This is an administrative proceeding and not held in a traditional court. In other words, your hearing will be heard by an Administrative Law Judge (ALJ) in the Department of Motor Vehicles. If you have been notified of your Safety Hearing date, you should call our attorneys now at 914-723-7900.